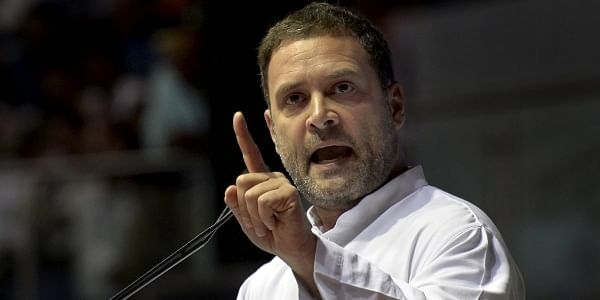 NEW DELHI: Rejecting reports that it might join hands with the PDP to cobble together a government in Jammu & Kashmir, the Congress on Monday said it’s not ‘foolish’ to go down that road. Hitting out at the PDP, Congress spokesperson Abhishek Manu Singhvi said, “You have destroyed the state and quit. Now you want us to form a government. We are not that foolish.” He said the Congress wants early elections “as President’s rule is like a remote control in the hands of the BJP-led centre”. While the PDP angle was discussed during a meeting of the Congress Kashmir policy group headed by former prime minister Manmohan Singh in Delhi, no formal announcement was made. Congress’ 12 MLAs are expected to meet on Tuesday in Sringar. Speculation over a Congress-PDP tie-up gained currency after PDP chief Mehbooba Mufti reached Delhi to meet Congress chief Rahul Gandhi and former boss Sonia. However, Singhvi sought to downplay it saying one should not draw any conclusion from such meetings. In 2015, the Congress and the National Conference had sounded out the PDP of a grand alliance of the three parties to keep the BJP out of power in the troubled border state. Sources said the PDP had dented its prospects by joining hands with the BJP and any party aligning with the Mehbooba Mufti-led party would suffer the consequences of the PDP’s association with the saffron party. J&K has been under President’s rule since the PDP-BJP coalition government broke off their alliance last month after sharing power for almost three years in the state. The Jammu & Kashmir assembly has a six-year term.